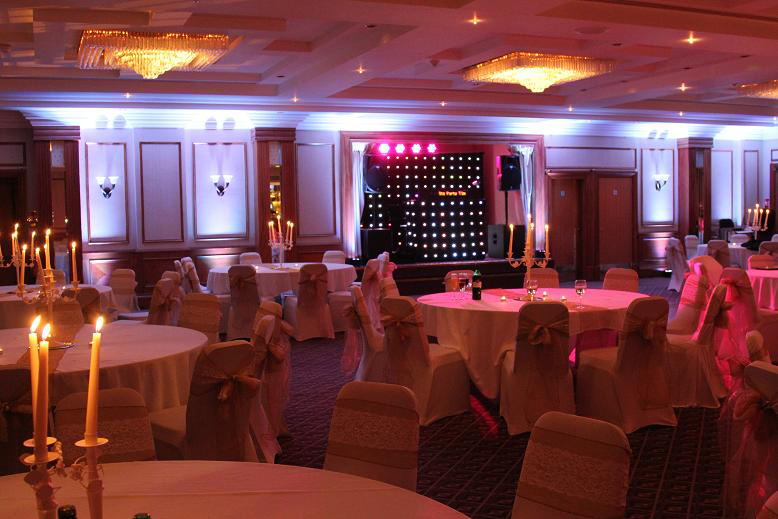 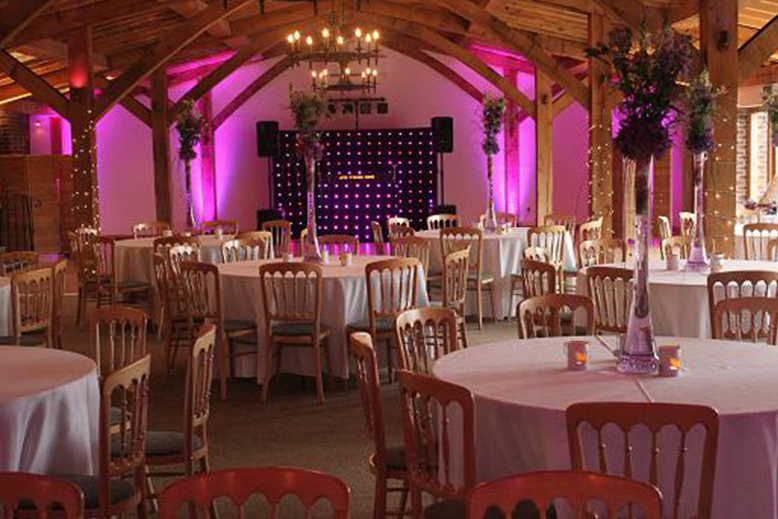 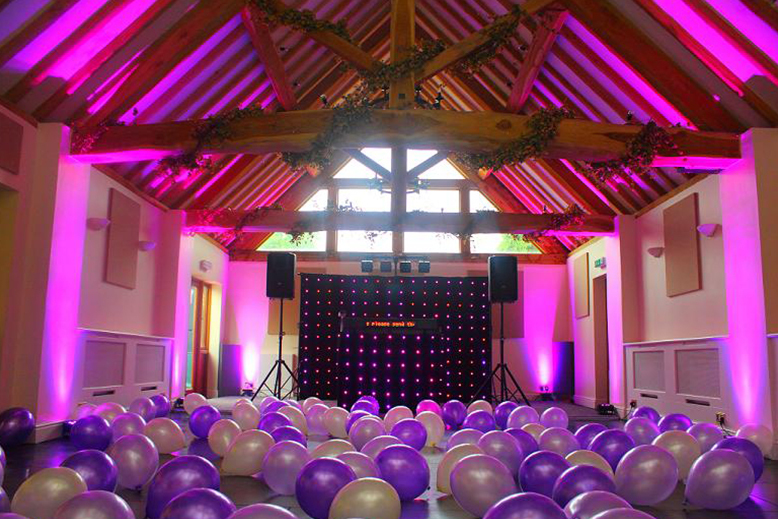 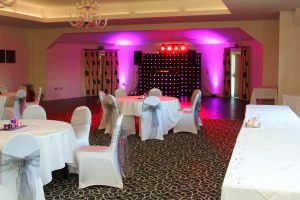 We at ‘Wedding DJ Birmingham’ can provide LED Uplighting or Uplights, which is the perfect way to colour wash and transform any venue, function room or marquee. 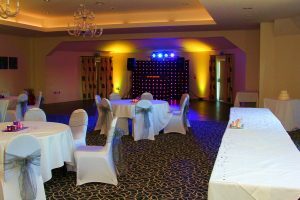 With Uplighting you can we either light the whole room or venue or certain features ( pillars, ceilings, balcony’s, the bar area, entrance or exits ) We can set up perfect LED Lighting which can create the perfect atmosphere for any event. 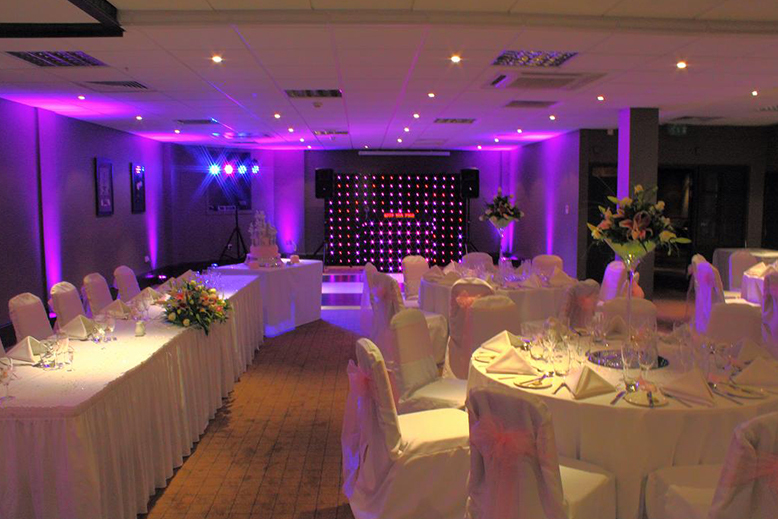 We can match your colour of the lighting to the theme of your Wedding or Party, and leave them on static (Still), or scroll through the complete colour spectrum, or we can even make the Uplights flash in time to the music, normally you leave them on static, and as the night gets going you can switch them to sound to light to really get the party going.